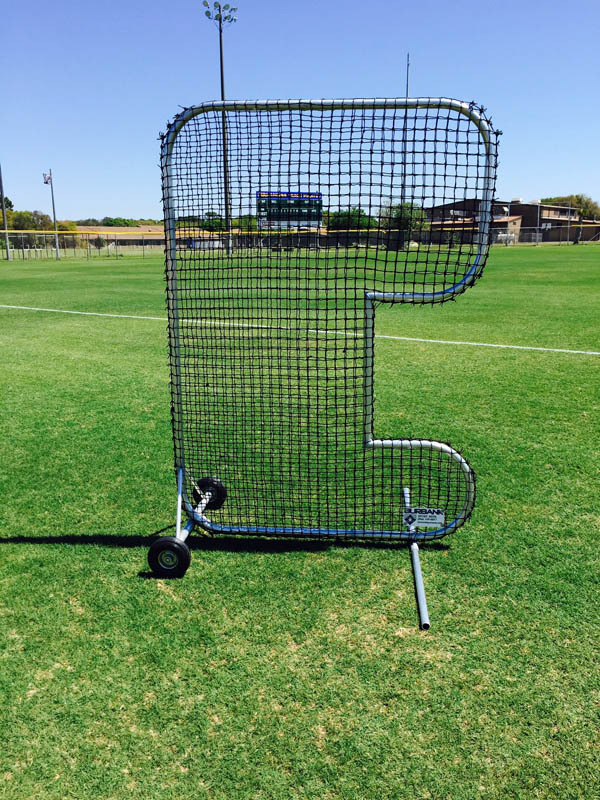 Our 5×7 Pro Live Pitch Screen is perfect for softball BP. Live pitching is what this frame does best! Our 5 x 7 Pro Live Pitch Screen is a great alternative to the original Pro 5 x 7 flip screen. It was designed for softball but also works well for baseball underhand flip! Pro wheels allow easy maneuverability on and off the field. It is available with different netting options along with all welded aluminum or galvanized steel construction. All Burbank frames are made here in the USA at our facility by an experienced welder.